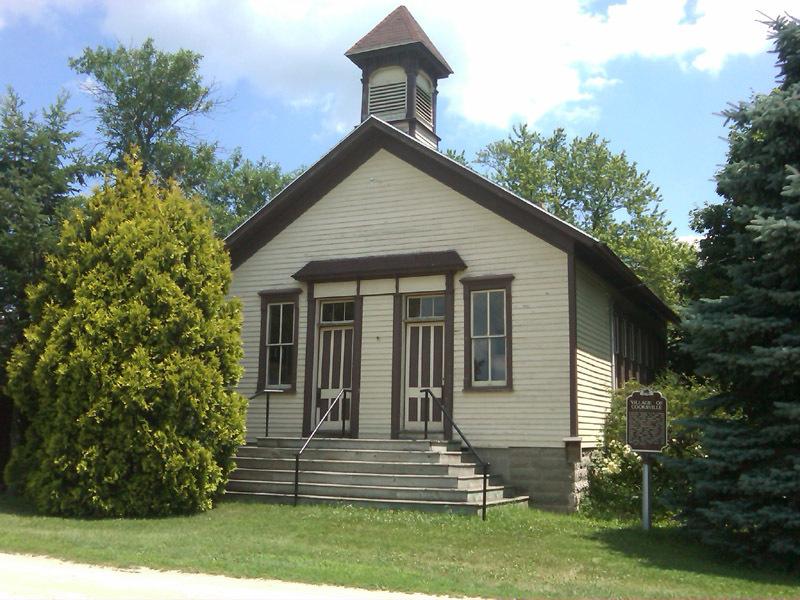 Located Hwy 59 W & N. Church St. Cooksville, Near hwy 138 WI Coordinates Lat N 42:50':100" Lon W -89:14':185"
Cooksville consists of two villages: Cooksville platted in 1842 and Waucoma platted in 1846. 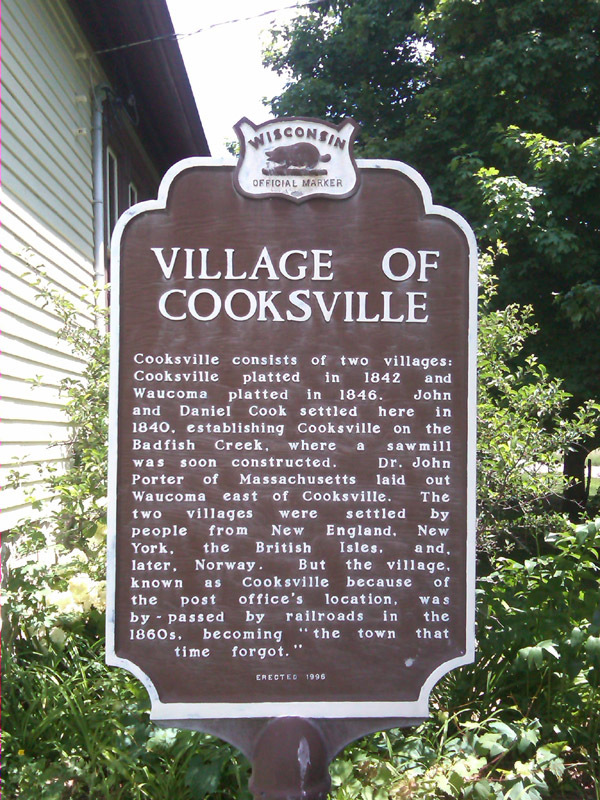 John and Daniel Cook settled here in 1840. establishing Cooksville on the Badfish Creek, where a sawmill was soon constructed. Dr. John Porter of Massachusetts laid out Waucoma east of Cooksville. The two villages were settled by people from New England, New York, the British Isles. and later, Norway. But the village. Cooksville because of the post office's location, was by - passed by railroads in 1860s, becoming " the town that time forgot."